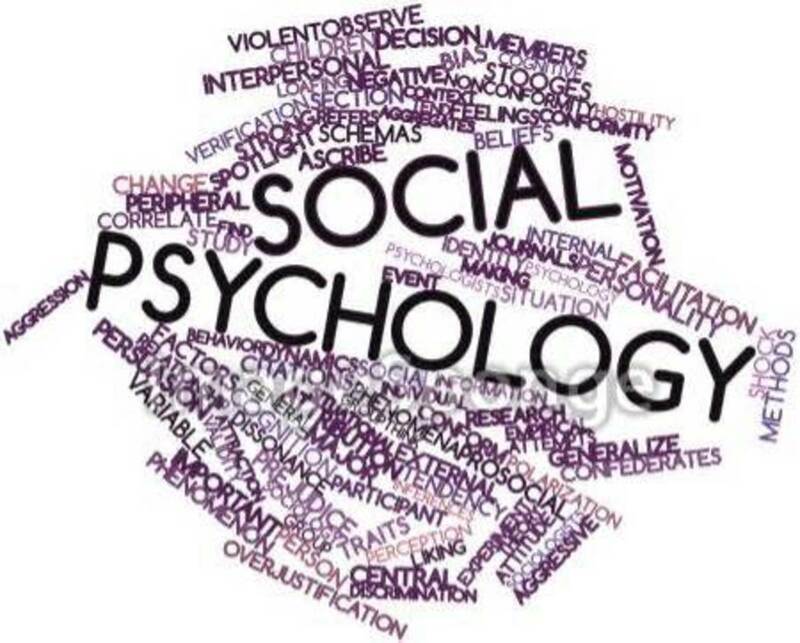 Social Influence looks at how the presence of other people increases, or decreases, performance. 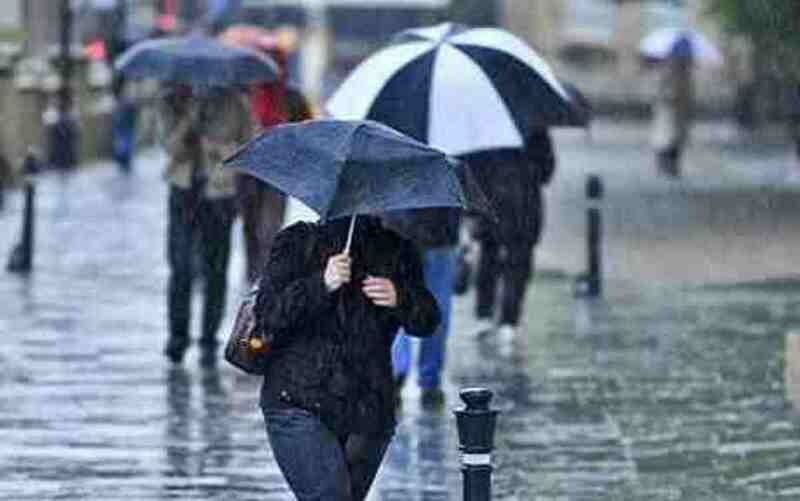 Social facilitation is the tendency for people to perform better on tasks in the presence of others than when alone. An example of this is when athletes perform their best when performing in front of an audience e.g. at the Olympics when sprinters achieve their 'personal best' times. Triplett (1898) saw how cyclists rode faster when riding with others than if they were riding alone. 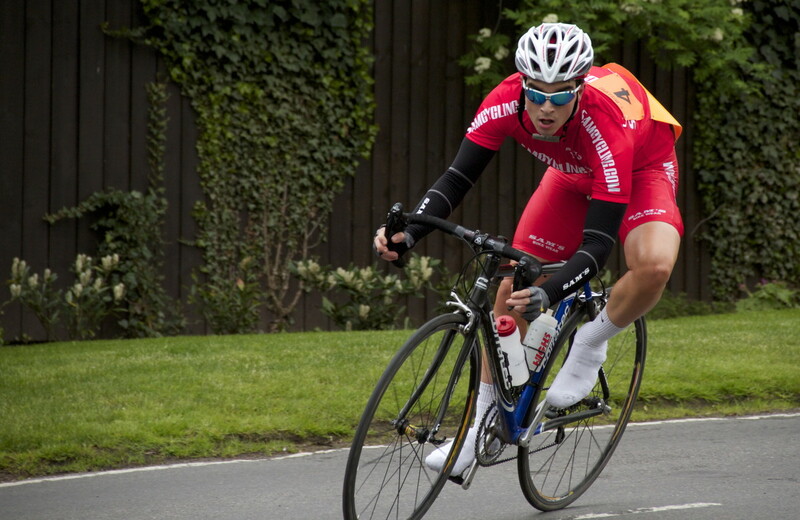 The reason for this increase in performance is the adrenalin caused by racing and the drive to compete. 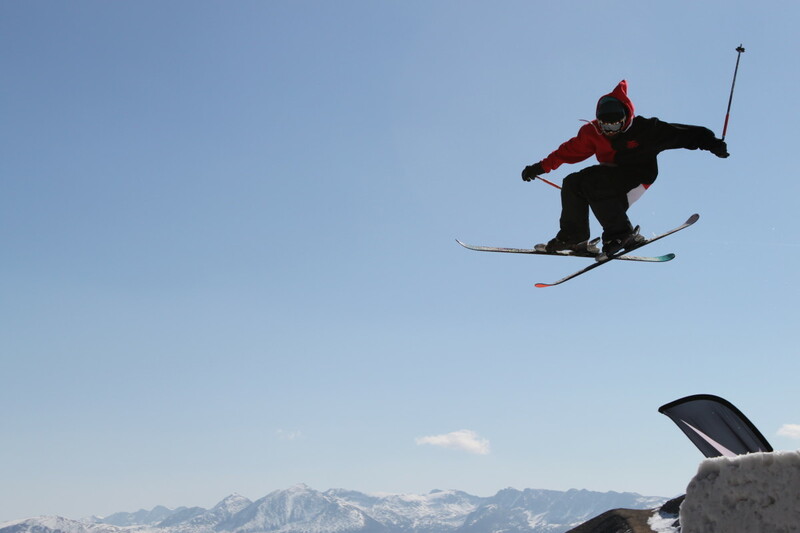 Coaction effects refer to the presence of others independently carrying out the same task at the same time which has also been proven to facilitate performance. In the same study, Triplett (1898) saw how when children reeling fishing lines were doing it at the same time, they would reel much faster when with others than on their own or in pairs. 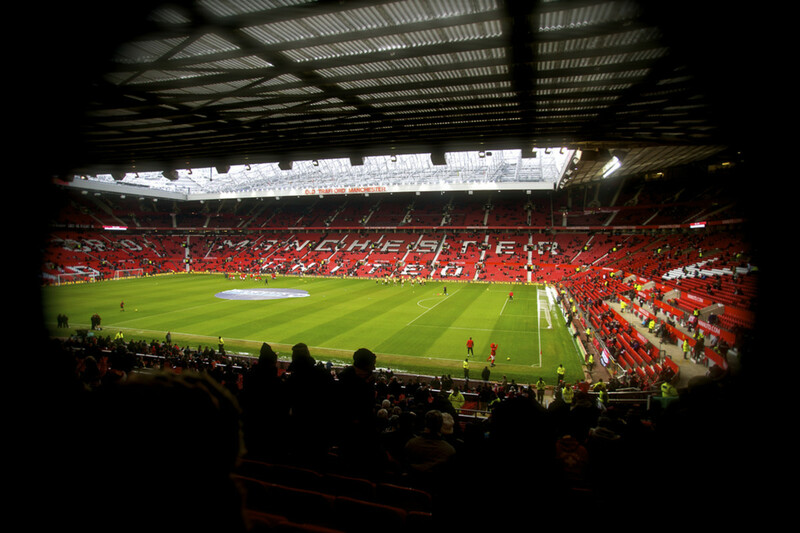 HOWEVER, an audience does not only facilitate performance - it can also inhibit performance. Many studies have shown that for more complex or less practiced activities, performance is worse than when done alone. Results: The presence of an audience facilitated the simple task but inhibited the more difficult task. Zajonc's second cockroach experiment in which the presence of conspecifics decreased performance. Zajonc (1965) proposed a drive theory for why performance on some tasks is increased by an audience. 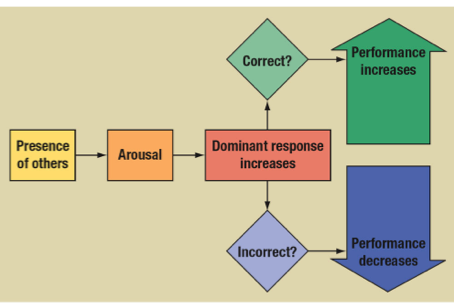 The theory suggests that an audience create an innate response in performers, known as arousal, which increases a person's tendency to perform dominant responses. Dominant responses are the behaviours that we are most likely to perform in a situation. For example, a talented violinist's dominant response of the violin will be to perform well and be facilitated by the audience. Their dominant response of a less practiced skill would involve errors and they would be inhibited by the audience. In the study, cockroaches were timed to see how long it would take them to escape from a bright light by running down a straight path. They were either alone or accompanied by four other cockroaches that they could see and smell, held in clear plastic boxes. In a second experiment, the task was made more difficult by arranging the apparatus so that the cockroaches needed to make a right turn in order to escape from the light. straight line (41s alone; 33s with audience). However, when they had to turn a corner they were slower (110s alone; 130s with audience). Thus, Zajonc theorised that when tasks are well learned, audiences increase activity however more complex tasks inhibit activity. While this is useful, some say that it is not sensible to generalise animal behaviours to humans as we act very differently. However, some do suggest that both animals and humans are 'aroused' by the presence of the same species - called conspecifics. 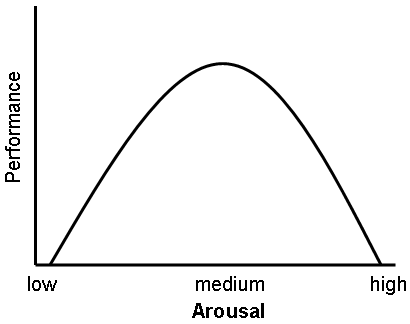 The Yerkes-Dodson Law suggests that as arousal increases, performance does too however there reaches a point when arousal peaks and begins to decrease performance. This prediction is presented as an inverted U-shaped function between arousal and performance. The Law says that different tasks require different levels of arousal. For example, intellectual tasks like an exam may require lower levels of arousal, for concentration, than a physical task that demands stamina and motivation from higher levels of arousal. So, the Yerkes-Dodson Law is saying that arousal can reach an 'optimal level' by which arousal stops increasing performance and begins to decrease it. The reason for this change in effect of arousal is due to negative effects of this arousal like stress on cognitive processes. The higher the arousal levels, the higher the stress on the individual. This effects memory, attention and problem-solving processes in the brain, making performance worse. Another explanation for social faciliation and inhibition is evaluation apprehension. 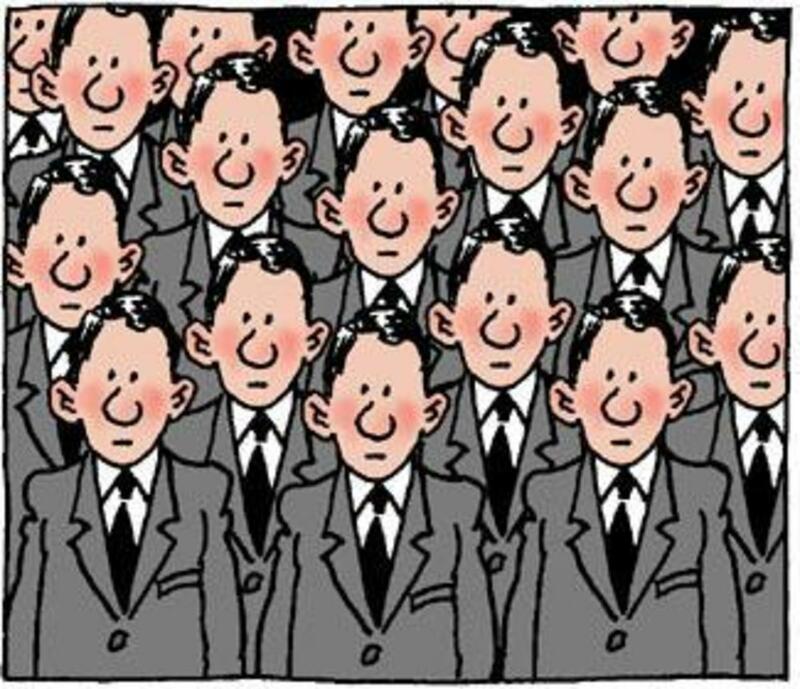 Proposed by Cottrell (1972), it suggests that when in the company of other people (an audience), we are concerned that they are judging us. We believe they are evaluation our performance and this causes arousal. Like in Zajonc's theory, if it is an easy task or a well-learned skill, arousal will bring about your dominant response and performance will be enhanced. On the other hand, if it is a difficult task or not well-learned, your dominant response will be for your performance to be inhibited. 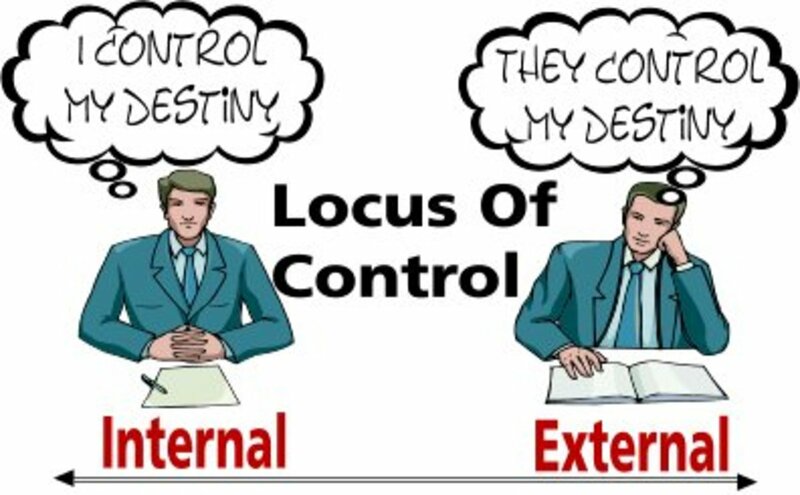 What exactly is 'locus of control'?